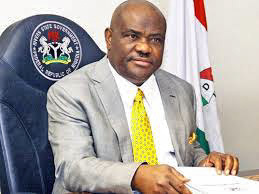 he Rivers State Governor, Nyesom Wike, has blamed the mass defection that hit the All Progressives Congress (APC ) recently on the alleged failure of the ruling party and the Federal Government. 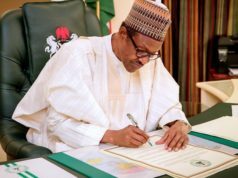 He disclosed this to jounralists on Saturday, after inspecting some newly inaugurated projects in Port Harcourt, the state capital. The governor said, “Politics is all about alignments and re-alignments. We expected these defections, knowing that the ruling party at the National level has completely failed the people. “For me, I had expected these defections more than a year ago. More will happen across the country,” he added. Governor Wike faulted the APC National Chairman, Adams Oshiomhole, for his comments about the defection of the Benue State Governor, Samuel Ortom. He said, “APC National Chairman, Adams Oshiomhole, said in one breadth that Ortom is the best that they have. The following day, because he (Ortom) had defected, he (Oshiomhole) said fielding Ortom would have been a calamity. This double-speak is laughable. Wike also said, “Now that the Benue State Governor has defected, they are throwing up these allegations. These are the people who claim they want to fight corruption, but they are always acting illegally. Governor Wike, however, said that the PDP is working round the clock with all stakeholders to put an end to failed APC Federal Government in 2019. He was confident that the PDP has become stronger and more vibrant, having been rebuilt over the last three years. “What we are doing now is part of the preparedness towards 2019. If we are not prepared, people won’t come to the party. They know that the PDP is very serious and PDP is stronger,” said the governor. 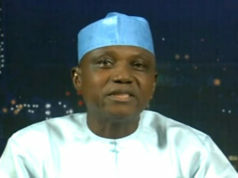 He added, “It is not easy for an opposition party to receive defectors of such magnitude. It shows that the party is doing quite a lot. We don’t need to make noise. But people are working on the ground. He accused the Federal Government of using the Economic and Financial Crimes Commission (EFCC) to intimidate government officials in Rivers. On the execution of projects, Governor Wike said that his administration will sustain projects delivery till the end of the first term. He said that the time for political campaigns has been earmarked, pointing out that it will not affect projects execution. Governor Wike inspected dualisation of the Elelenwo-Akpajo Road, the construction of Judges Quarters in Port Harcourt and the ongoing construction of Mile One Market. He was accompanied by members of the Rivers State House of Assembly and Rivers State Executive Council.